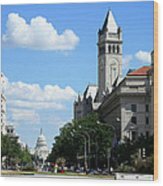 There are no comments for Downtown Washington. Click here to post the first comment. 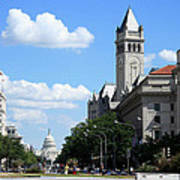 A lovely day in downtown Washington, D.C. 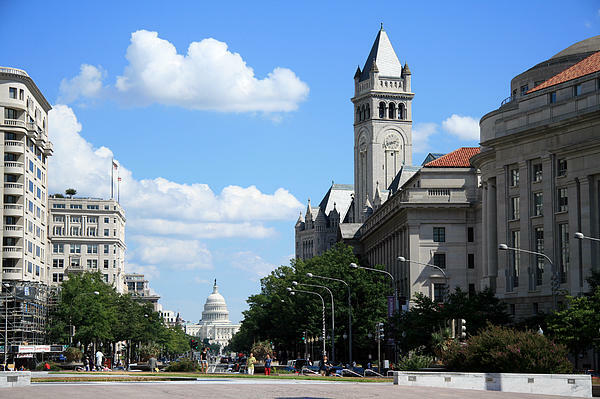 The Clock Tower on the right is part of the historic Old Post Office, and is the third tallest building in the city, behind the Washington Monument and the United States Capitol, respectively. Donald Trump and his family recently signed a long-term lease with the United States government to convert the Old Post Office into a posh hotel, and even though the tower will remain open to the public, it is expected to be called "Trump Tower".